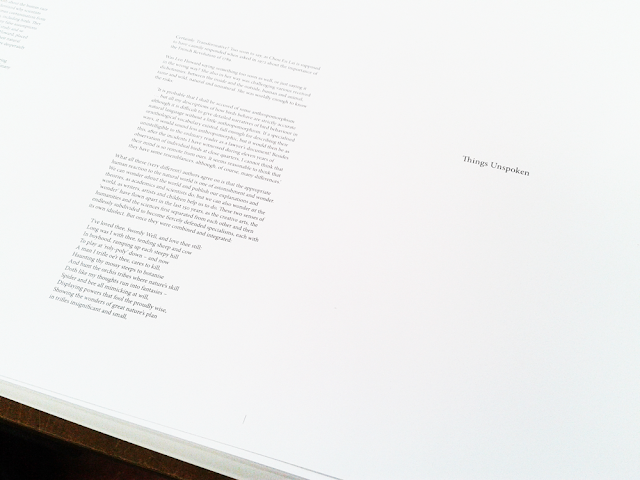 I have been designing a two volume book, Things Unseen and Things Unspoken, for artists Anne Bevan and Andrea Roe, to be published by the Pier Arts Centre in Orkney. 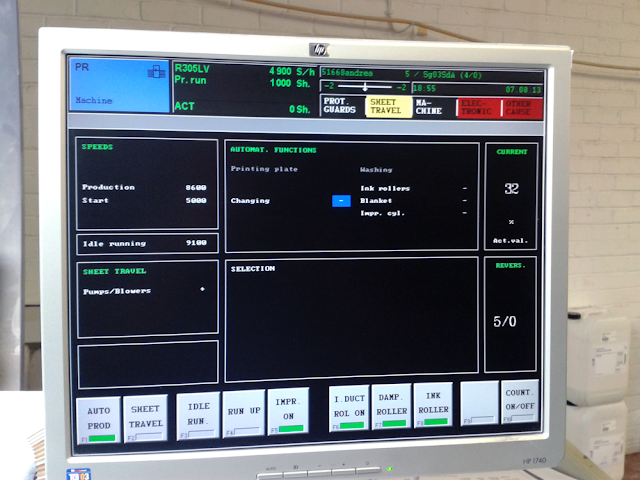 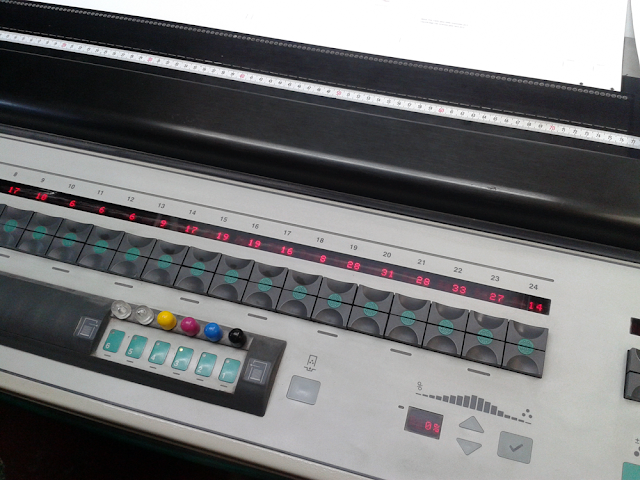 This week Anne, Andrea and myself spent three days at Arc Colourprint in Edinburgh, press passing the book – plate by plate – under the patient, attentive, and experienced guidance of Ewan, one of the expert team at Arc. 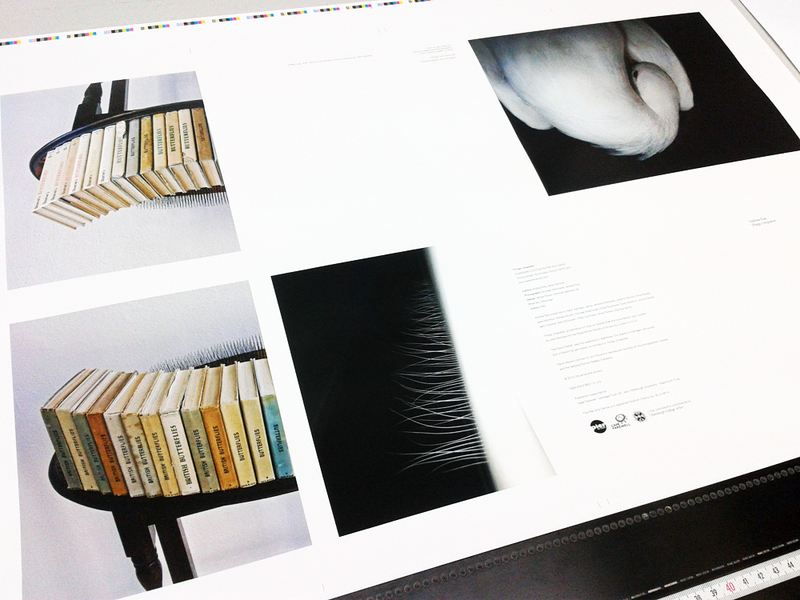 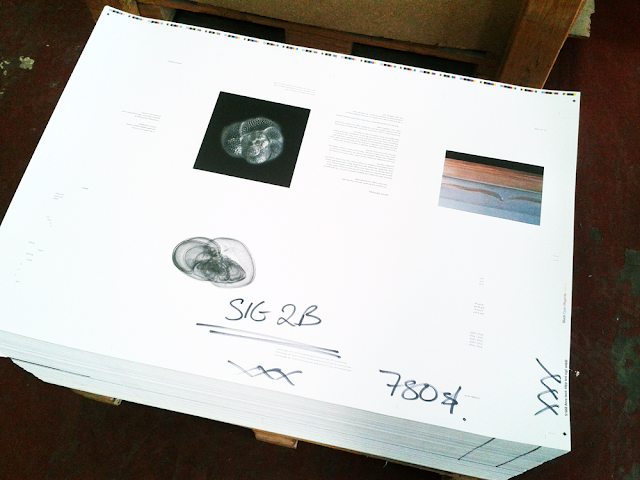 The book is being printed on 170gsm Revive 100 Offset with a 16 page colour section in Andrea's book, Things Unspoken, printed on Revive 100 Gloss 170gsm. 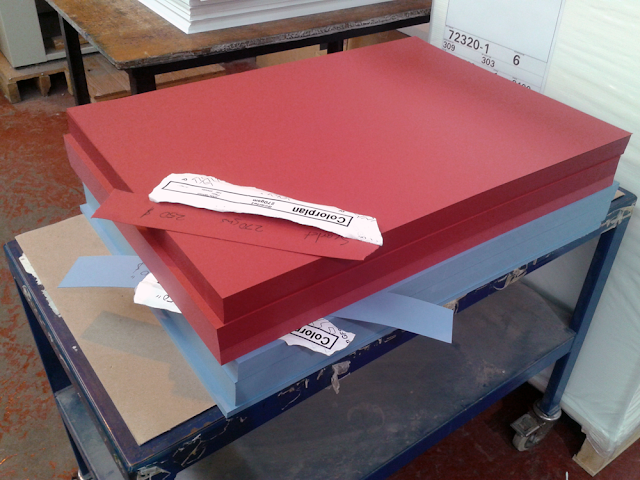 The covers are on Colorplan 270gsm, Scarlet and New Blue, and are being gloss foil blocked with the title of each book. 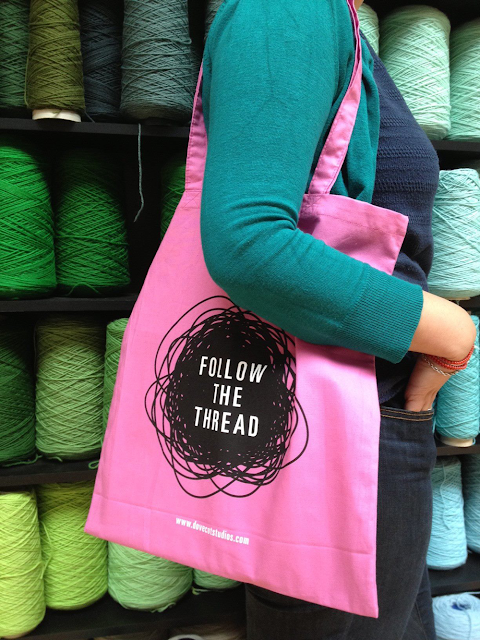 Very excited to see the Follow the Thread tote bag which I designed for Dovecot Studios. Pick one up from the Dovecot shop for £5.00 whilst stocks last. 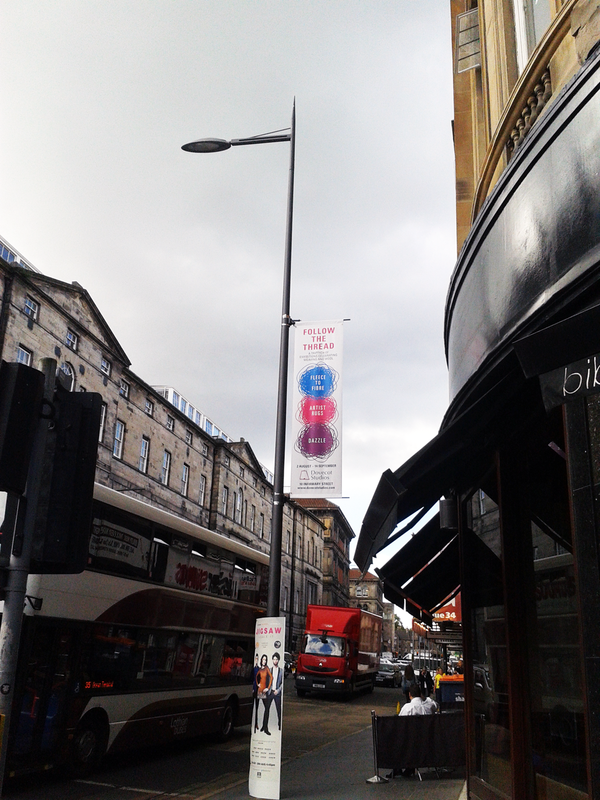 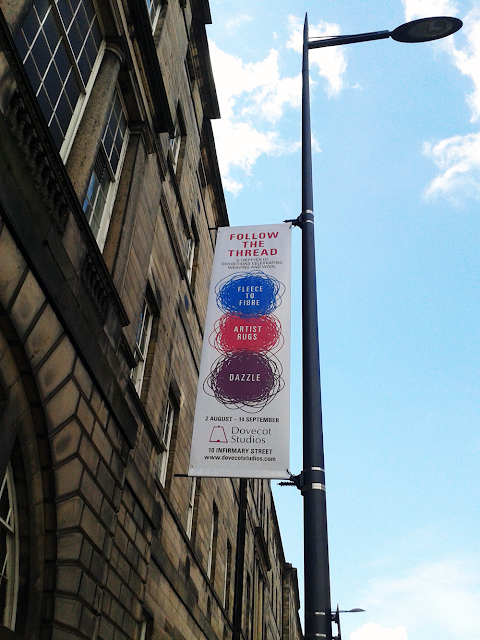 Banners for Dovecot Studios' Follow the Thread exhibition, with the logo and identity that I have designed. The exhibition opened on 2 August as part of the 2013 Edinburgh Art Festival. 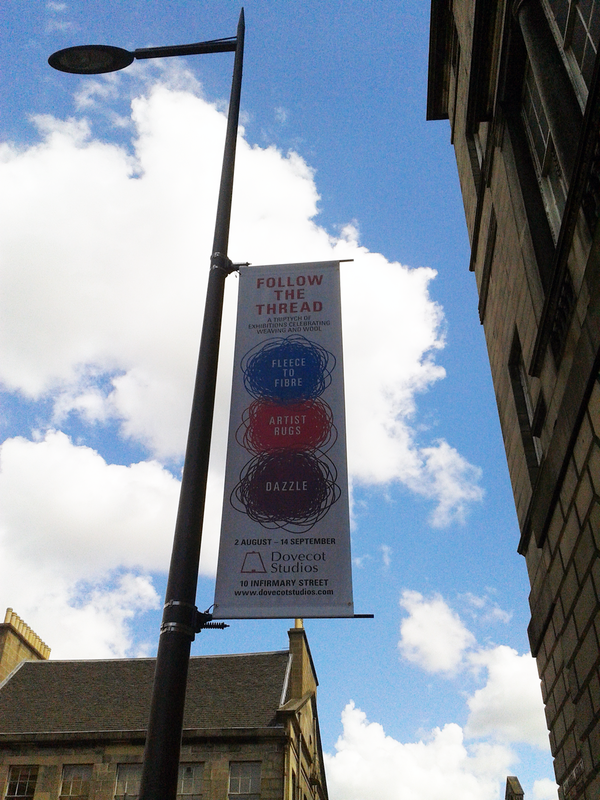 The banners are 750 x 2800 mm and were printed by McRobb Display in Edinburgh.